Thousands of EAA Airventure spectators lined up along the flightline early on Friday as the Boeing 787 Dreamliner touched down at Oshkosh for the first time and opened the doors for public tours, another first for the aircraft. 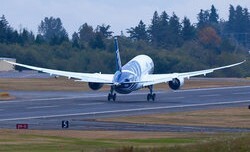 The Federal Aviation Administration on Friday said it has no plans to resume certification testing of Boeing's 787 Dreamliner aircraft until it fully understands what caused an incident on Tuesday. 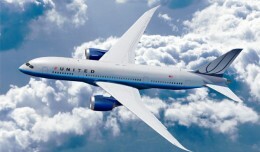 United Airlines announced Tuesday that it will launch daily flights between Denver and Tokyo using its new Boeing 787-8 Dreamliner aircraft. 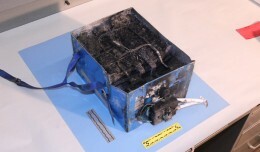 Investigators looking for the cause of January 7's Japan Airlines Boeing 787 fire in Boston are working through the three-day weekend.